When first furnishing your place, it's all about buying the essentials: a bed, a couch, a nightstand. 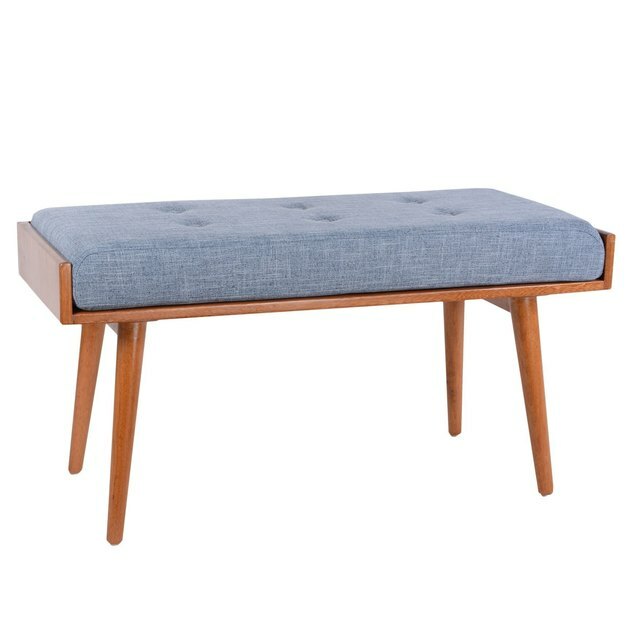 But buying an accent bench just screams: I'm established and I'm here to decorate! Not that accent benches have no practical uses at all, of course. They're great catchalls and offer a place to sit when putting on your shoes. But for the most part, they're a decor accent with great impact and versatility. 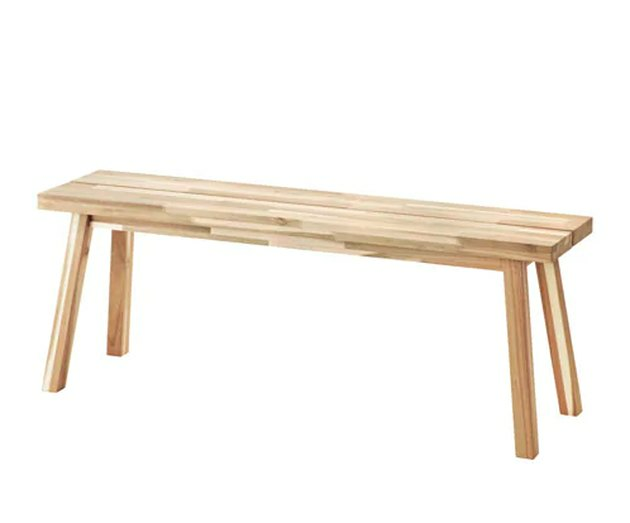 They work in most rooms, really, and accent benches can be utilized in such a wide variety of ways: in place of a coffee table, as dining table seating, as a spot to store shoes. So now that you know more about the accent table's various uses, check out some of our favorites below. 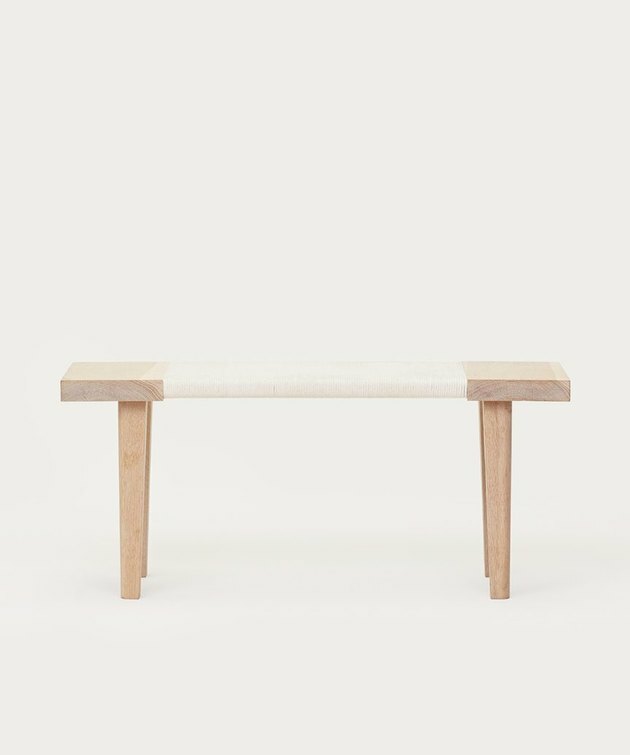 If you're looking for a good deal on solid wood, this bench is for you. Plus, it's simple enough to match most decor styles. 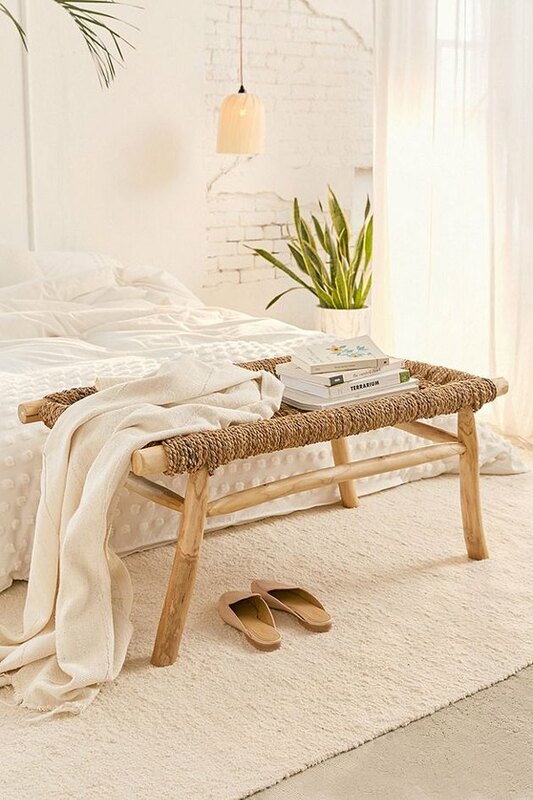 This woven boho bench is practically begging to sit at the end of your bed. Its beach-y basket-woven twine seat sits atop wood framing. Minimalism never looked so pretty. 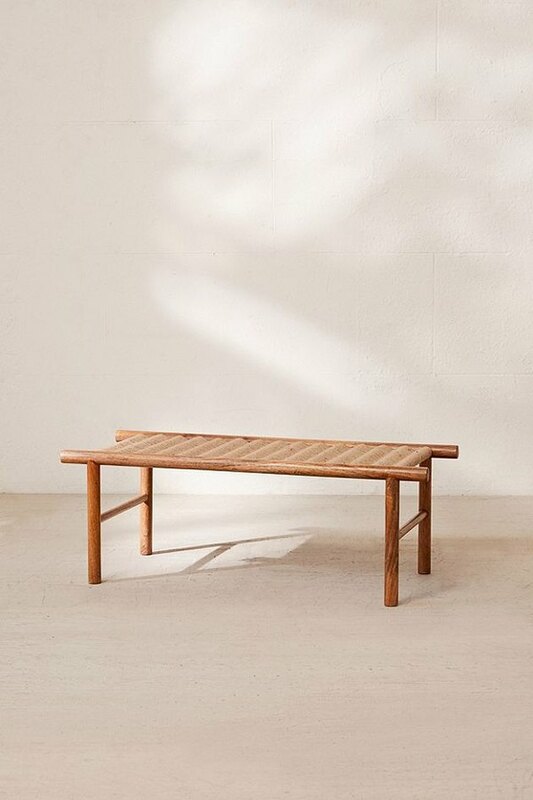 Jenni Kayne's day bench is crafted in Los Angeles and is made of beautiful solid white oak and cotton rope. We can't think of a space this bench wouldn't improve. The texture and pattern on this bench is undeniably striking, while still remaining relatively neutral. It's made of lampakanay fiber (a grass common to the Philippines) hand-wrapped around a solid mahogany frame — fancy. 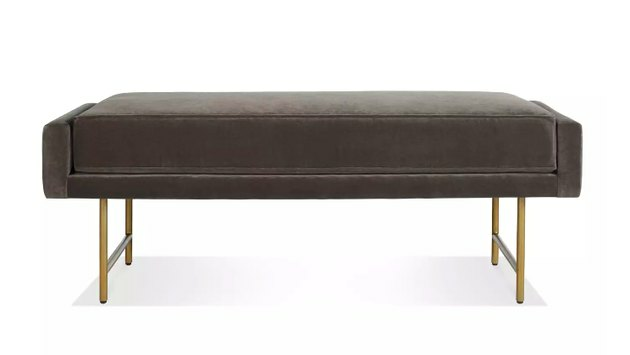 If you're looking for comfort, this modern velvet bench is the one for you. 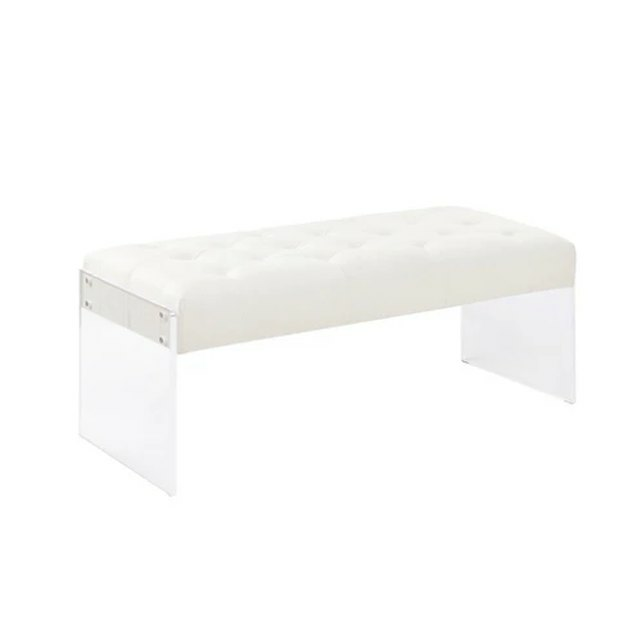 The acrylic legs of this bench make it look like it's floating. It's great at ensuring your space doesn't look cluttered. 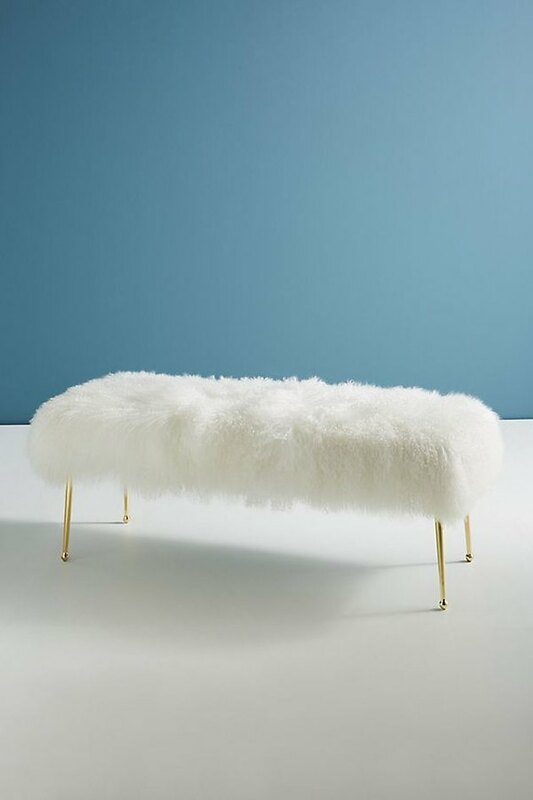 This fluffy statement piece is made of Mongolian sheepskin. It's so cozy that your guests will actually want to sit on it. 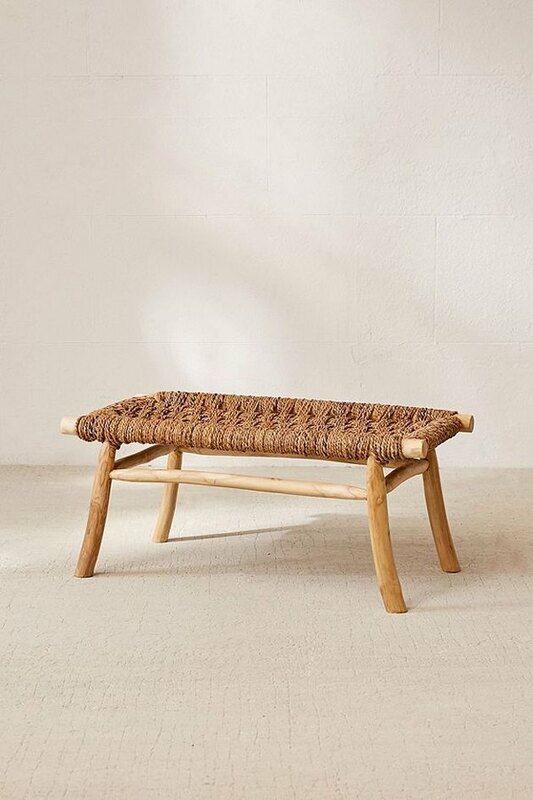 This simple bench is made of mango wood with a jute seat. Try placing it in the foyer or mudroom, hanging hooks for your coats and bags above, and storing your most-worn shoes below. 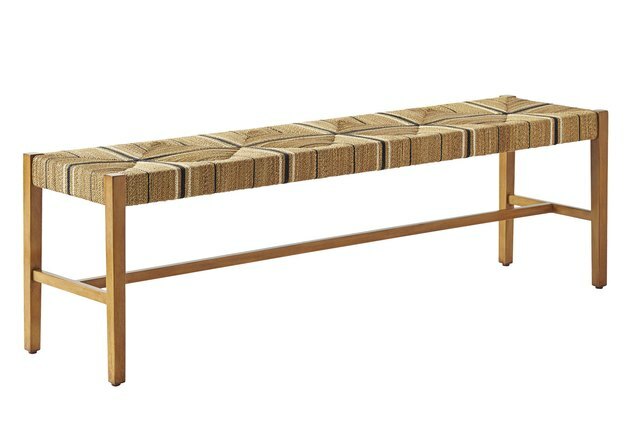 If your home's style is midcentury, this bench will fit in effortlessly. It has a comfy cushioned seat atop solid wood legs. If you're looking for a statement piece, a bench with a patterned seat does the trick. 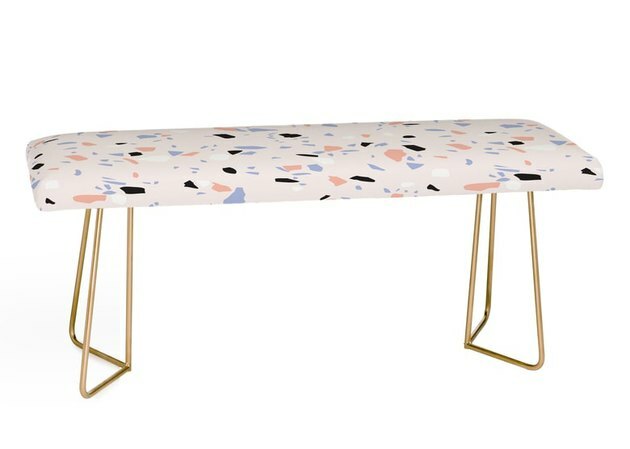 This one incorporates one of our favorite trends: terrazzo.